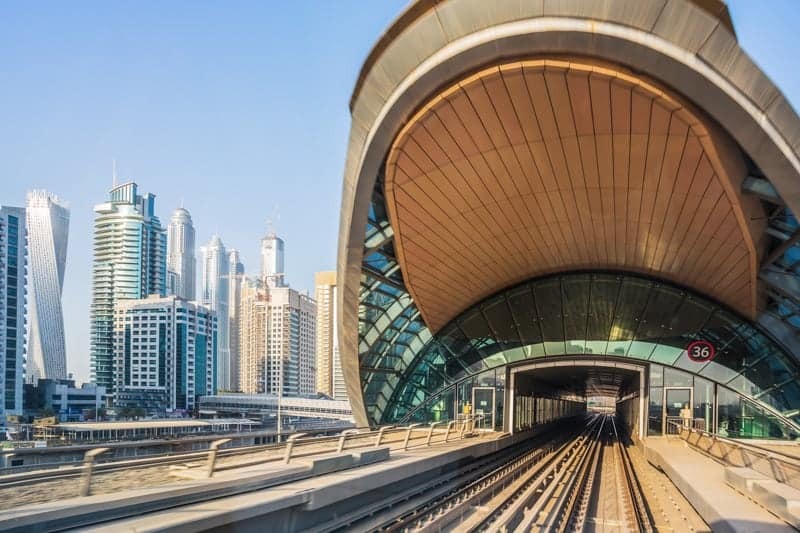 DAMAC Properties Metro Station is a station on the Red Line of the Dubai Metro. 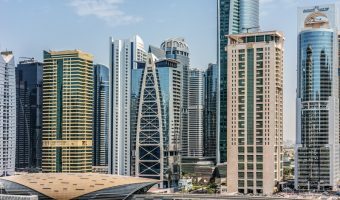 It serves Dubai Marina and Jumeirah Lakes Towers. 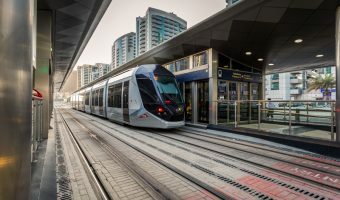 The station is linked to the Dubai Tram network. To reach the trams use the footbridge here to cross Sheikh Zayed Road for Dubai Marina Tram Station. The station opened in 2010 as Dubai Marina Metro Station. DAMAC Properties bought the naming rights to the station in September 2014. Adjacent stations on the Red Line are Jumeirah Lakes Towers and Nakheel. Reel Cinemas Dubai Marina Mall (0.5 miles) - Small cinema at the Dubai Marina Mall. Sloane's (0.5 miles) - Buffet restaurant at Grosvenor House. Huge choice of dishes. Best known for its Friday brunch. Buddha Bar (0.5 miles) - Large restaurant and bar at Grosvenor House, Dubai Marina. Opulent two-floor layout. Floor-to-ceiling windows offer fantastic view of the Dubai Marina. DJs and party nights. Toro Toro (0.5 miles) - Latin American restaurant and lounge at Grosvenor House, Dubai Marina. Two-floor venue with upstairs bar. Friday brunch and ladies’ nights. Marina Social (0.6 miles) - Restaurant at the InterContinental Dubai Marina. Offers a British menu with Mediterranean influences. Led by Jason Atherton, a Michelin-starred chef that has worked with Gordon Ramsay. Friday brunch. Map showing location of DAMAC Properties Metro Station (Dubai Marina). 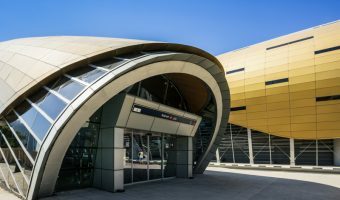 Guide to Nakheel Metro Station.